In 1993, Doom came out for many computers and consoles. However, ID Software never made Doom for Amiga ever. Here Amitopia tries to kill some myths about Amiga and Doom. Some of the Doom executables like ADoom even have a rotate-able map and support for Multiplayer. You can also play the music if you want to. Newspapers, Magazines and x-Amigans leaving the scene in 1994, together with ignorant PC users started to spread negative rumors about that the Amiga can’t do 3D FPS games and is absolutely not capable of running Doom at all. This rumor got more and more serious by the growing PC scene, especially in Norway. Trying to explain about that Amiga can do 3D FPS, pulls a laugh at almost any PC user even today. People think its not possible, but here we want to once for all kill the rumor about that Amiga can’t do 3D FPS Games totally. Games like Gloom, Fears, Breathless, Trapped and Alien Breed 3D managed to show that Amiga’s also could do 3D FPS Games. But the PC scene managed to still spread false info and this time they jumped over to the FPS word, saying that the Amiga FPS rate when playing is crap. however when the 68060 CPU cards got released for Amiga’s and all of the 3D FPS games got around 30FPS they sort of went silent. And when Doom was finally open sourced by ID Software lot’s of Doom executables were released for Amiga, pulling that Doom word and game experience for Amigans. With FPS over 15FPS on 68030, 22FPS on 68040 and over 30FPS on 68060, many (not all) in the PC scene changed their mind and pulled the price tag for the 68060 cards. The classic Amiga line does have custom graphic chipset like OCS, ECS and AGA yes. But all of the Amiga machine have support for graphics cards. If you plug a graphics card to your Amiga, the FPS helps a lot etc. Getting a graphics card for an Amiga is likewise getting it for a PC or a Mac machine. If you own an Amiga with PowerPC, AmigaOne, PegasosII or a Mac with MorphOS on it. Then you will be able to play Doom in many FPS. There was actually a commercial release of Quake for the Amiga, but it never took of as even on 68060 the FPS was at around 8-10FPS. On PowerPC however, the FPS is above 60FPS for sure. A new Quake executable have been released, where the author mentions 23.5FPS on a 68060. I am very interested in trying that out though. A 3D FPS game running on a x86 PC, have a engine running for that CPU. On the Amiga, it runs neither on 68k or for PowerPC. To get more FPS, the games needs to get the engine to run on the specific CPU in a better way. With many new FPGA solutions for Amiga, playing Doom in 30FPS is now not an issue on an Amiga 500 from 1987 even. I hope that I managed to kill some myths here and final words. 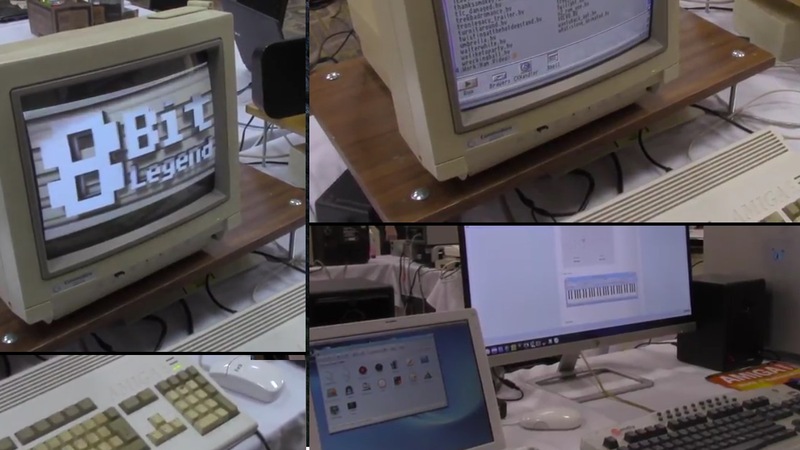 Yes, Amiga can play Doom and it can play 3D FPS games!